When thirteen-year-old Matt's step-sister and guardian, Caro, takes a job as a cook for Madame Ayres, Matt begins spending his school holidays at Woodhall Mansion. There he meets Alix, Madame's great-granddaughter who is forbidden to spend time with Matt, and Theo, Madame's son whose deformed arm invites nothing but disdain and cruelty from his mother. Over many months, Matt witnesses the increase of tensions between Theo and his mother, as he begins to go against her wishes, planning to bring a group of homeless orphans to live at Woodhall. In the meantime, Caro finds herself torn between her wealthy fiance, who is embarrassed of her work and the affections of Theo, who is a more decent man. Infused throughout the story are Christian themes of selfless love, eternal hope, and the dangers of pride, as well as many references to Mass and Confession. This is probably the closest thing I have ever read to a perfect book. The characters are distinct and well-developed, and even the villains have a shred of goodness in them. Events of the story are interesting on their own, but have layers of allegorical meaning as well, adding a depth to the book that is a mark of truly artful writing. The story emerges naturally and unapologetically from the Catholic point of view, and it leaves no question as to the truth of the faith. Moral relativism is not a part of this universe, where right and wrong are easy to distinguish, even when right may be difficult to put into action. There is not an extra word in sight, not a moment of self-indulgence on the part of the writer. Everything in the story has been placed there deliberately, and every detail works toward a revelation of truth that is simply stunning in both its gravity and its execution. The ending left me nodding my head at the perfection of it all - not because the resolution is too neat, but because the writing, until the very last word, is just right. There are so few novels for young people which explore the Catholic faith, let alone doing so with such beautiful language and such wonderful characters. 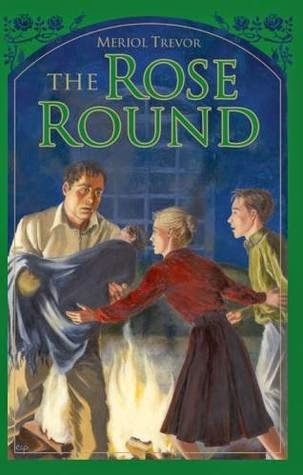 I will look forward to the day when my own children are old enough to read and discuss The Rose Round with me, as it teaches so many lessons I hope to impart, and it represents experiences that will affirm and strengthen them in their own Catholic faith. I can't say how the book would be received by a non-Catholic audience, but Catholic kids in grades 6 and above will certainly feel as though this is their book, written for their worldview and experiences. I am not generally someone who re-reads books, but I already know I will revisit this one several times in years to come.